The importance of a good night’s sleep should never be underestimated. The old adage of an hour’s sleep before midnight is worth two after, while scorned by some, rings true for others. When the body has had a full, unbroken night’s rest the mind is alert and fresh and can cope much better with the stresses andÂ rigorsÂ of the day. Without such rest, the functionality of the mind and body can become dangerously impaired. For an adult, guidelines suggest that anything between seven and nine hours is a sufficient amount of sleep for optimum health. Older people may need as little as six hours per night. For small babies and toddlers it is recommended they sleep between ten and twenty hours since they are developing. Since teenagers are also still growing, they Â need around ten hours of sleep per night. During the night the body uses the sleeping period to rest and repair itself. In children and teenagers, growth hormones are released that aid the body as it matures and develops. Children and young adults who are sleep deprived or suffer from insomnia can sometimes have stunted growth due to the inability of growth hormones to be properly released and utilised by their developing frames. In both adults and children the immune system releases an important mix of chemicals during night-time rest that helps the body heal and, particularly in cases of illness or stress, fight off infection. 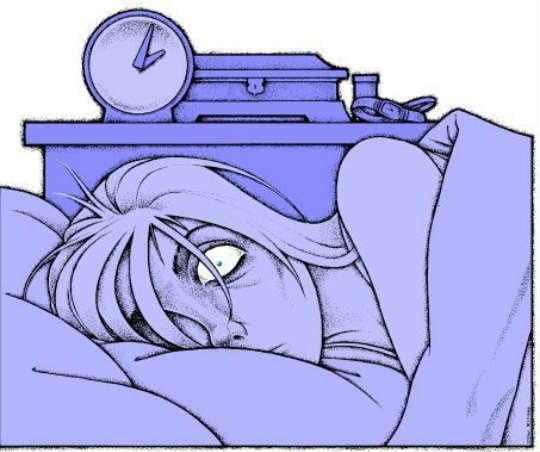 What happens if people stop sleeping? If a good night’s sleep on a well-sprung mattress such as a single mattress can be achieved, the body can cope with whatever life throws at it. However, if the body and mind are fatigued because of lack of sleep, it becomes hard to concentrate and focus on whatever needs to be done in life. There might be an excess of adrenaline in the system, which increases the chances of becoming irritable. The longer the body goes without sleep, the harder it becomes to achieve a decent night’s rest. It’s very possible that regular headaches may occur as well as an increase in restlessness and anxiety. In extreme cases, it’s possible to hallucinate and become unstable because it’s no longer possible to always think clearly. Once the body is in a state that can’t maintain a regular sleep pattern it can sometimes prove tricky to correct. Physically it can prove very demanding to carry out daily routines and work whilst in a state of sleep deprivation. Driving or operating machinery could be considered very hazardous and shouldn’t be attempted on very little or no sleep. Concentration can be impaired and the temptation is to turn to stimulants such as caffeine, nicotine or energy drinks to avoid hazardous slumps during the day. It only takes a relatively short space of time for sleep deprivation to become serious; in fact it can be as little as three or four days. Looking after the mind and resting the body is key to overall health. Don’t let something like sleep deprivation become a major health concern. Â Article contributed byÂ Sophie, Psychology graduate UK. Interested in fashion, beauty and health.